A large capacity machine with a stunning, special edition experience: this really is one of the best automatic espresso machines on the market. 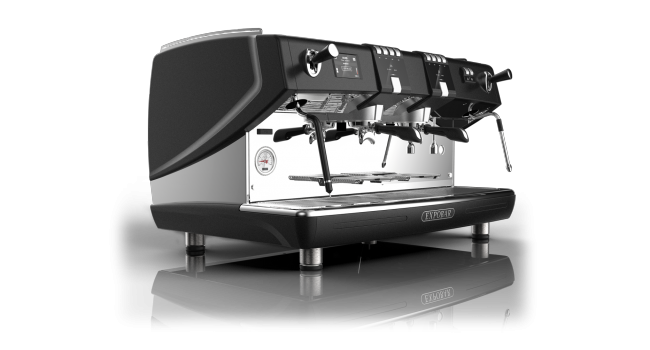 It offers style, capacity and most importantly substance – which is to say, a range of impressive features that will give even the most discerning baristas something to get excited about. 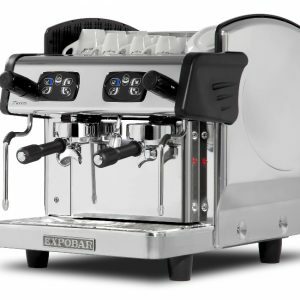 In fact, Expobar have done so much right with this beautiful commercial espresso machine that we’re not really sure which aspect to talk about first! 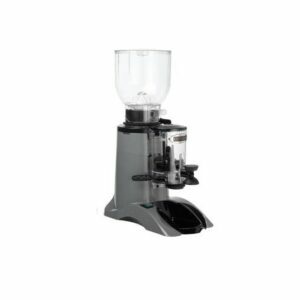 One of the things which is particularly, though, is the size: as one of the larger espresso coffee makers available, it is absolutely ideal for those food and drinks companies that really have to make an extra push to ensure that they can handle their busy lunch and dinner services. For instance, it also offers two stainless steel steam taps as well as one hot water tap, and an impressive 11.5 litre copper boiler to keep those coffees bubbling all day long. Reliability – Features such as the automatic water filling, digital control of dosage and boiler temperature and the strong, durable casing all mean that you can trust this machine to keep working alongside you and your team even when the pressure is on. 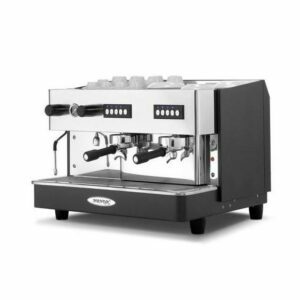 Consistency – The last drink of the day should be as good as the first, and with commercial espresso machines like the Diamant Pro model you get exactly that, keeping all of your customers satisfied. 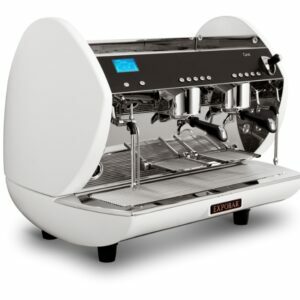 Speed – Don’t settle for a barista machine that doesn’t seem to make life any easier, when there are options such as this one which are so simple to use and easy to clean that they make the art of being a barista an absolute breeze – and help to speed up the process to help with that all-important customer care. Expobar wanted to do something a little different with this espresso machine – and they certainly managed it. The almost stylish finish gives an immediate sense of prestige and luxury that simply can’t be matched by most other coffee makers. 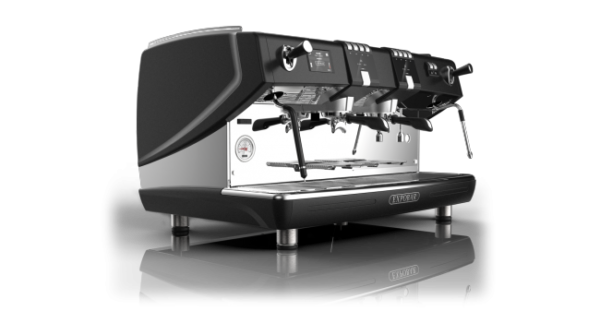 And, as with all of our machines, there is full installation and barista training available; this means that your team can look as impressive as the 2 or 3 Group Diamant Pro when they start serving their clients with ease and precision. It’s never been easier to whip up gorgeous cappuccinos, delectable lattes and speciality beverages for everybody to enjoy. 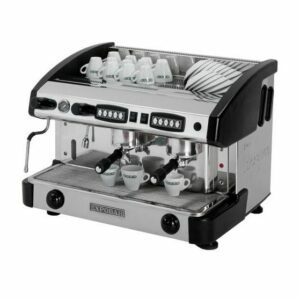 If you have a big establishment with a need for great coffee, then this may well be the best automatic espresso machine available to you! Of course, every company is different, and we can also offer a great variety of other products to get you set up no matter what your needs are. This includes a compact barista machine for those with limited space, as well as a huge array of self-serve vending machines which are great for offices and hospitality companies alike! Interested in finding out more? Whether you’re ready to place your order, or just curious about how Forward Vendors may be able to help your business, we’d love to hear from you. Simply drop an email to sales@forwardvendors.co.uk or give us a call on 0800 444 443 to have a chat and get all the information you could need.